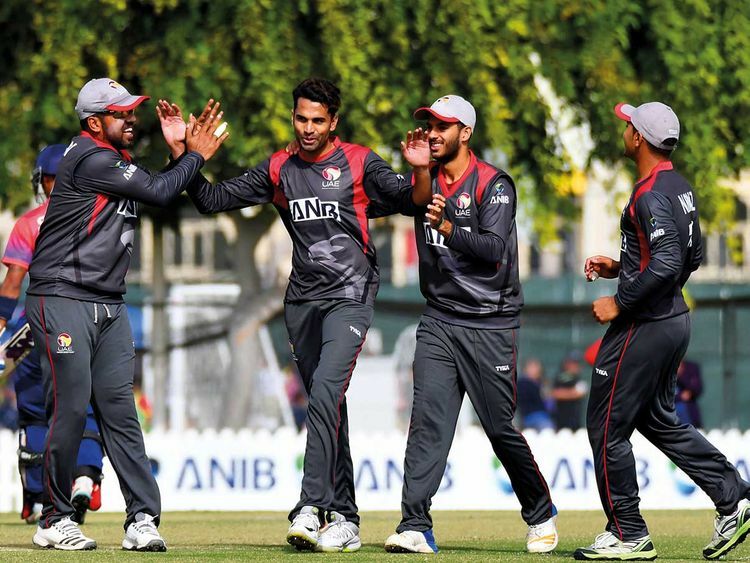 Dubai: UAE notched a three-wicket win over Nepal on Friday — in the first one-day match of a three-match series being held at the ICC Cricket Academy — thanks to a fine all-round show from Amir Hayat. Nepal, who were put in to bat by UAE, were bowled out for 113 runs in 33.5 over through right arm pacer Hayat’s fine spell of 3 for 19. He was well-backed by UAE skipper and pacer Mohammad Naveed, who also took three wickets for 31 runs. Chasing the score, UAE lost both their openers for 12 runs but wicketkeeper batsman Gulam Shabber hit a valuable 30 runs. UAE slipped to 73 for 7 but Hayat hit an unbeaten 24 and with Mohammad Hyder (18 n.o. ), to ensure victory in 32.1 overs. Hayat hit a straight six off Nepal’s Indian Premier League star and leg spinner Sandeep Lamichhane to help UAE reach the target.